Innovation Think Tank — Hello. This is Kate. The Innovation Think Tank is an internal, cross-department group at The Focal Point that integrates design-thinking skills and encourages creative empowerment. As a co-founder of the team, I helped to design organization-wide annual projects, trainings, and workshops to innovate and improve the firm’s internal practices and external client offerings. One project was creating a toolkit trial consultants could use to support creatively reframing and understanding client's case narratives. The toolkit included a Mad Lib-esque exercise emphasizing often-overlooked elements such as the personal connection to a case, strong imagery, and emotional influences. The Case Map, predicated on the expression, “missing the forest for the trees,” helped clients to visualize the outline of their case—illustrating the big picture, discarding excess details, and seeing missing connections all in one place. 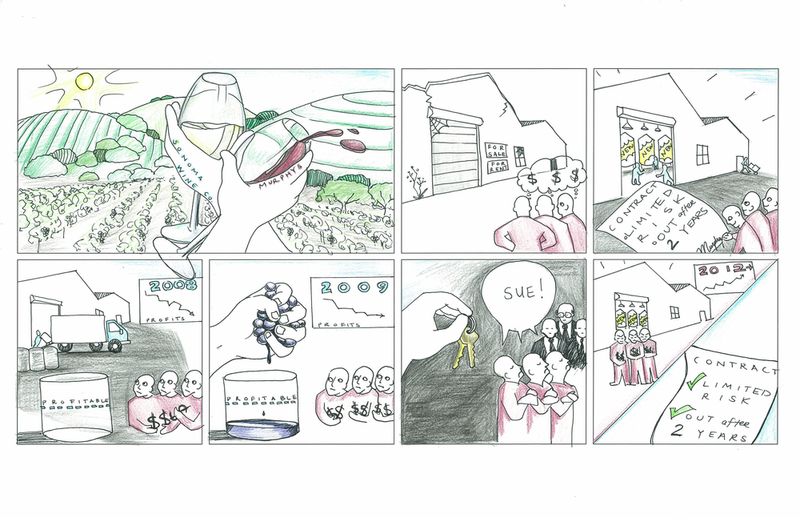 The Comic Strip pushed clients to summarize and animate the most important pieces of their story in a unified, visual 7-panel comic. The time I spent building and working with our Innovation Think Tank felt more like play than work. We brought together creative and proactive team members to spend time each week exploring how to be a more creative and dynamic company in fun and innovative ways. The experience was engaging and exciting while also being productive, and encouraged me to further pursue innovation practices.